If you want to remove all user preferences and private data like cookies or web history from Firefox, there's a very simple way. 2. Delete the Mozilla folder. 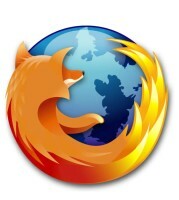 That will wipe everything, and when you restart Firefox, it'll create a new Mozilla folder. 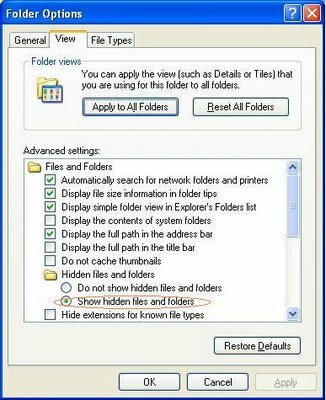 If you aren't able to find the Application Data folder, it is probably because it is hidden. To make it visible, open up a folder and go to Tools->Folder Options->View. Click on Show hidden files and folders and click OK. Then go back to step 1 and complete the process. This method is only effective against casual privacy intrusions by nosey friends or parents. The data can still be retrieved through more sophisticated methods. If you only want to delete the cache, cookies, and web history and not your custom browser settings, go to Firefox and go to Tools-> Clear Private Data. You can tweak the settings for this tool by going to Tools-> Options-> Privacy-> Settings.